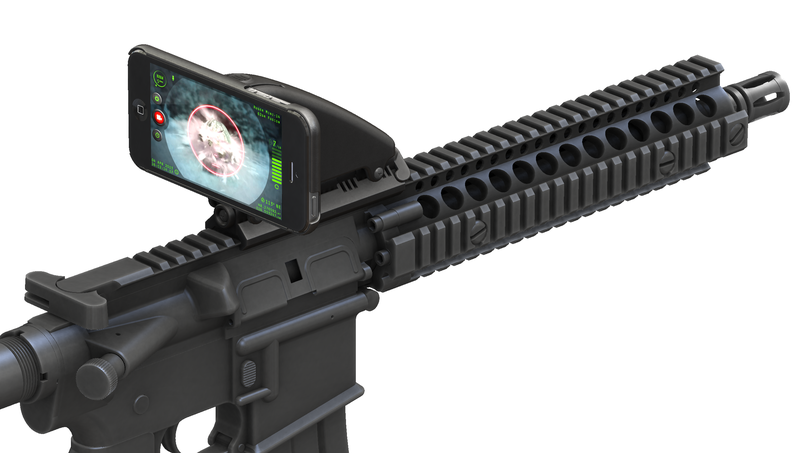 Given the many, many uses that smartphones have these days, and the many technologies being adapted to work with them, I guess it was only a matter of time before someone found a way to militarize it. And that’s exactly what inventor Jason Giddings and his new company, Inteliscope, LLC, decided to do when they combined guns with smart devices to launch the Inteliscope Tactical Rifle Adapter. 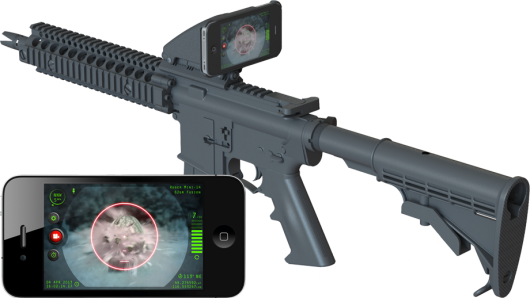 Along with an iOS app and a mount that can be affixed to tactical rails, the adapter allows gun owners to mount their iPhone or iPod Touch to a firearm and use it as a sight with a heads-up display showing real-time data on their surroundings. The app also works in portrait mode, so the adapter can be affixed to the side of a firearm if needed. Some might ask how an iPhone could be expected to improve upon a standard scope, but that’s where things get particularly interesting. 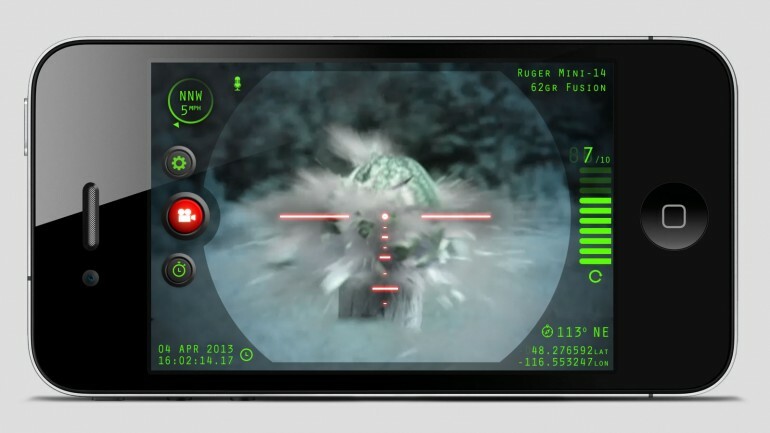 By offering a range of visual enhancements and features, the user is essentially able to convert their smartphone into an integrated ballistic computer system, but at a fraction of the cost of a military variant. Added features include a 5x digital zoom, an adjustable mount that lets users peek around corners, a choice of different cross hairs, data on local prevailing winds, a GPS locator, a compass, ballistics info, and a shot timer. The attached device can even act as a mounted flashlight or strobe, but probably the most useful feature is the ability to record and play back video of each shot. Naturally, there are some drawbacks to the Inteliscope. For example, the iPhone/iPod Touch’s camera optics only offer support for short range targets, and using calibers larger than .223 or 5.56 mm could damage your smart device. The developers have also advised potential customers to make sure hunting with electronic-enhanced devices is legal in their region. Still, it does provide a fairly cost-effective means for giving any gun that Future Warrior look, and for the relatively cheap price of $69.99. Inteliscope is currently accepting pre-orders through its website, with adapters available for the iPhone 4, iPhone 4S, iPhone 5 and iPod Touch, and plan to ship to begin shipping in June. I knew it. Smart phones will be the death of us all!